Cimteq is ready for business on the first day of the New Products Collection at Toho International Inc in Tokyo. The show runs for 2 days in Tokyo on the 30th and 31st August 2018 and then moves onto Toho International HQ in Osaka on the 3rd and 4th September 2018. 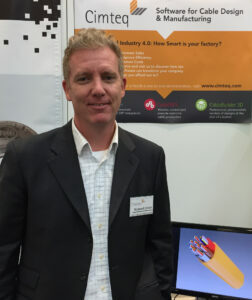 Richard Cotter, Sales & Marketing Manager, Cimteq says, ” We are excited to be in Japan to showcase our core prodcuts, CableBuilder and CableMES and to demonstrate to the Japanese market our expertise as the leading provider of software for the design and manufacturing of cables to the cable manufacturing industry”. For more information on how our software can transform your company by increasing efficiency, improving quality, decreasing lead times and reducing costs, Book a One to One online Demonstration with one of our experts today.